I blog a lot about my deaf friends. The reason for that is because for the majority of my life I didn’t have a constant circle of deaf friends. I did have a few years here and there where I had a couple of deaf friends. In a way it’s still new to me so I am still exploring what it means to have a circle of deaf friends. I do want to talk a bit about my hearing friends. Just like my deaf friends, they have a special place in my heart. A lot of mainstreamed deaf people talk about how they felt alone because they didn’t have more than 1 or 2 good friends due to communication barriers. Yes, I experienced that communication barrier but I also saw how that barrier could be knocked down. I always had several good hearing friends no matter what stage I was at in my life. Until this past year I had way more hearing friends than deaf friends (it’s about equal now). It took me a while to adjust to constantly being surrounded by deaf people. I do miss being around my hearing friends. Anyways, my hearing friends are some of the most awesome people ever. I used to feel guilty because I knew it took extra time and effort on their part to communicate with me. As I got older the more I realized they were doing this because they wanted to get to know me…I was worthy of getting to know. Through the process of breaking down communication barriers together….we developed strong friendships. Because there was so much time and energy put into our friendship….I have made some of the most loyal friends a person could ever make. Whenever I moved away or if we had an argument…we went the extra mile to work things out and make sure we stayed in touch. I’m actually still in touch with a few friends I have only seen twice since 9th grade. Heck, I didn’t always need to communicate with people to be friends with them. That was the best thing about being a kid. You didn’t need to worry about talking about clothes, boys, gossip, or anything. The main goal of any kid, hearing or deaf, was to play and have fun. I didn’t need to understand other kids to play and have the time of my life with them. One of my best friends during my early childhood was a hearing boy who didn’t know any sign language. We had some good times together. Breaking down communication barriers takes work but it brings people closer to each other and forms a strong bond. For this reason sometimes I think I’m one of the few people who truly knows what it is like to have a true friend. 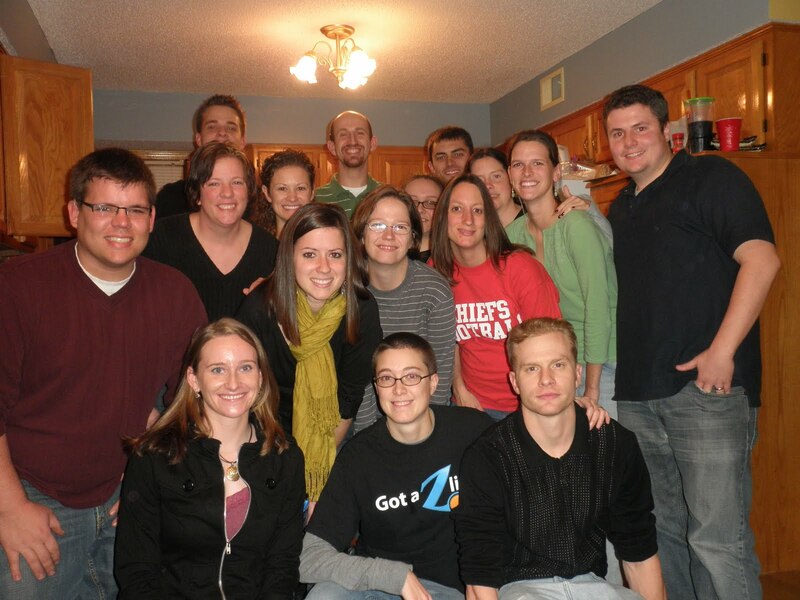 My hearing friends are a family to me just like my deaf friends are. Every year people talk about the best Christmas light display they have seen. They kind of try to outdo each other. 😉 I can’t help but mention the worst Christmas light display I have ever seen. After living in NYC for a while you start to expect the unexpected. 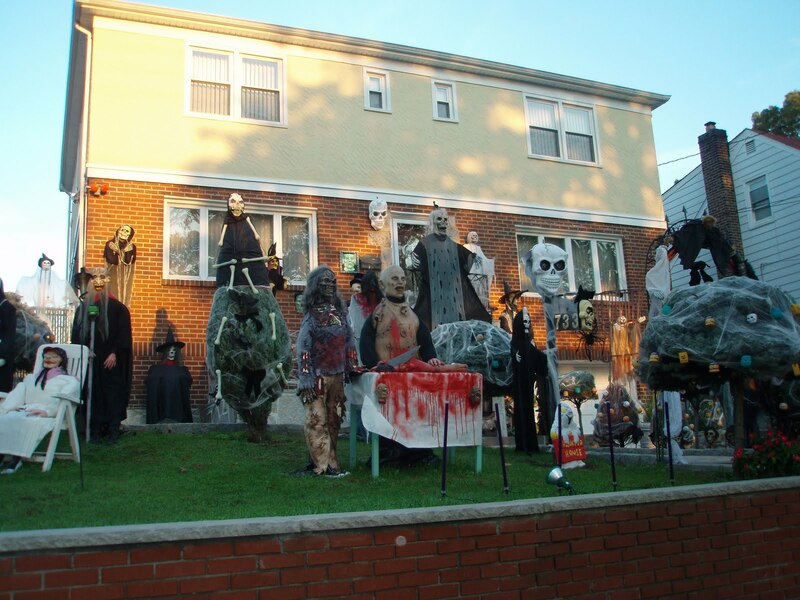 I was driving to a rotation in the Bronx one fall and I happened to see a house FULL of mannequins in the front yard. They were covered with white plastic bags. I wondered about it every time I drove by for weeks. It kind of gave me an unsettling feeling because frankly…mannequins can be creepy sometimes (or maybe it’s just me)….and why would someone have a yard full of them?!? It wasn’t until it got closer to Christmas that I realized it was part of a Christmas display. Apparently it’s a Hollywood themed Christmas display. I think they’ve been doing this since the 1970s. As much as I dislike this Christmas light display…for some odd reason it makes me smile when I think of it. I guess because it reminds me of what I liked about NYC….diversity….and…the fact that anything goes. I’m just glad I’m not their neighbor. You can see some pictures at this website. Check out the videos below. Btw…my Yonkers readers…how’s that house (you know which one I’m talking about) doing with their holiday decorations this year? 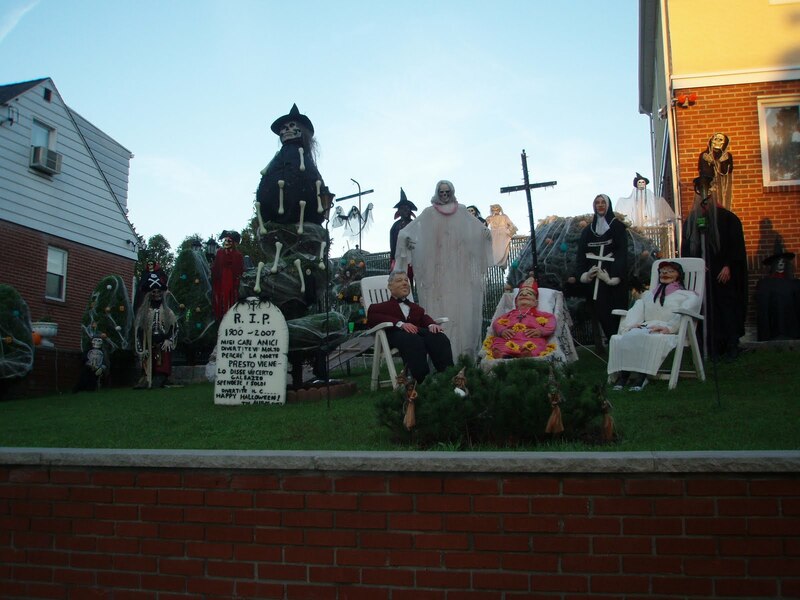 There’s this one house that fills their yard with holiday themed decorations (Easter, Halloween, etc.). It’s quite a sight. Here are a couple of pictures from Halloween one year. I went over to Dennis’ to hang out and catch up on some work while a P90X workout session was going on. After dinner, Dennis and I were surfing the Internet. He found a post about a solar powered airplane and wanted to watch video clips about it. The Internet was acting funny so it took a while for the video clips to load. We got sidetracked with something entirely different while the video clips were loading and I completely forgot we had been talking about airplanes. Next thing I know….I hear an airplane. My initial reaction was I wanted to duck because it sounded like it was just a few feet above my head then common sense kicked in…reminding myself that I was inside a house and airplanes don’t fly that low overhead in residual areas. I immediately turned around trying to figure out the source of sound (deaf people with hearing aids/CIs usually can’t figure out where sounds are coming from). I could not figure out what it was and was completely confused. Common sense was telling me that there was no way it could have been an airplane since airplanes don’t exactly fly around in houses…but there was nothing that I could see that seemed to match up with what I had just heard. Aha! It was from the computer a couple of feet away from me. It was playing a video clip of the solar powered airplane taking off. Well, I depend a lot on my surroundings in order to figure out what I’m hearing. For example I have a general idea of what all I may hear when I’m in a classroom, outside, inside, etc. I use that knowledge in order to identify what I hear. I can probably figure out about 80% of the environmental sounds I hear based up on knowing my surroundings. If I were to listen to a record player playing all sort of random environmental sounds without any knowledge of what surroundings/situations it was….I probably would only be able to guess about 30-40% correctly. I was able to know immediately that what I was hearing was an airplane even though it didn’t fit any possible “inside a house” sounds. Back in August I was being silly with a friend….we decided to have a cartwheel race and we decided to have it on a hill……that was covered with wet grass (badddd idea). I slipped and twisted my elbow. It bothered me for a while but I could generally ignore it. It mostly bothered me whenever I had to bump the ball during sand volleyball games/practices. It took a month or two for it to almost heal completely….that is until a fellow teammate ran into me while playing sand volleyball and grabbed my left arm as he fell…twisting it behind my back. It was 99.7% completely healed….until tonight that is. I was trying to get a player’s flag and I dove after him. Turns out as I dove a couple of my teammates were trying to get this fellow’s flag also. After I dove…I was laying in the sand and someone accidentally stepped on my left elbow. I’m just hoping my elbow will be okay by tomorrow afternoon for P90X. I think it will be…might just be a bit stiff….but I think it’ll be okay. Tonight was the last sand flag football game of the season. We ended it with a perfect record….0-7 😉 It was a lot of fun even though we had a losing streak! All season I’ve been the person with butterfingers and of course it wasn’t until the last game I finally started to catch the football! I even scored a touchdown with the help of a nice pass! I think I was in shock when I actually caught it in the end zone. I would definitely do it again. I’m actually bummed it’s over with! I’m surprised I enjoyed it this much from the beginning to the end and didn’t get tired of it. I’ve already thrown out the idea of getting together one weekend with people and just scrimmage for fun…. This year I have spent more time with deaf friends than ever in my whole life. It’s been a great self esteem booster and confidence booster for me. I have learned that I’m not the only one who feels a certain way in certain situations. Holidays are coming up. I love the holidays. I love spending time with friends and visiting family. However, it can be very stressful at times. I could type up page after page after page about what it’s like to be deaf and celebrate holidays with hearing family members. Not all of it is negative…in fact some of it is positive. I have several wonderful extended family members who have taken the time to learn some basic sign language skills. I have great parents who go the extra mile to make sure I’m included. I am forever thankful for this. However, I always feel a bit guilty and a bit of a burden when they go out of their way. I want my family members and parents to enjoy their time without feeling like they have to constantly try to include me. It’s also always difficult to be included 100% of the time when things are SO chaotic. Once again, I am one of the few lucky deaf people out there who have wonderful family members who take the extra time to try and communicate with me. I have never and will never take this for granted. I always thought I was the only one who sometimes found the holidays difficult in terms of communication. That is until a few years when I started reading blog posts about how other deaf people felt the same way around this time of the year. Regardless of how well the person can hear with hearing aids/CIs and regardless of how oral that person is…this topic constantly comes up. It has been one of my dreams to celebrate a holiday where I didn’t feel like I was always on edge trying to figure out what was going on. Where I could easily help out in the kitchen without being unsure as to if I understood the instructions correctly. Where I could just jump into any conversation I wanted. No one would have to work hard to make sure I felt included. At the beginning of October I was hanging out with some friends and a couple of them were talking about having a Halloween party. I then mentioned we should try to get together for a potluck Thanksgiving dinner thinking that we would talk about it but it wouldn’t happen. Ever since that day people would ask me if we were going to get together for Thanksgiving or not. Apparently every one really wanted to have the same experience I wanted too…a holiday with no communication barriers. It took us a while to plan it since we had to figure out where to have it. We needed a place big enough for 15-20 people. Dennis was kind enough to offer his house and he actually took on the frightening task of cooking turkey and ham (which btw he did a great job with…this was his first time too!). I went over to his place about 1:30 pm to try and help out in anyway I possibly could. People started showing up about 4pm and the last left about 11pm. 🙂 Everyone left with a smile on their faces. I think everyone was amazed at what it was like to have a holiday dinner and to be 100% fully included. Everyone was so relaxed…I think a lot of us are used to feeling a bit on edge and a bit stressed in terms of being sure we understood what was said (so much of lipreading is guesswork and luck). Hope everyone has a wonderful Thanksgiving week!